LITTLE ROCK—Economics Arkansas, an organization that trains educators to teach economics without the “eeek,” has won the Arkansas Business of the Year Award, Nonprofit Category. The announcement was made during the 25th annual Arkansas Business of the Year Awards at the Statehouse Convention Center in Little Rock on Feb. 26. “Increasing the economic and financial literacy of our population will not only impact students as they each seek their own American Dream, but it will also impact the state’s economic development opportunities. Thank you for recognizing our life-changing and empowering mission of economic and financial literacy,” said Economics Arkansas Executive Director Sue Owens as she accepted the award, along with a check for $2,500 presented by AT&T. The Business of the Year Awards are sponsored each year by Arkansas Business Publishing Group. 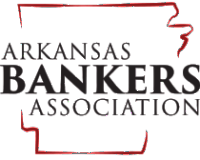 Arkansas Business readers nominate businesses, executives and nonprofits for the awards, and an independent panel of judges determines the winners. Also presented were the Outstanding Philanthropic Corporation Awards, given by the Arkansas Community Foundation to City Plumbing Heating & Electric of Hot Springs, Medic One Ambulance of Jonesboro, Lockheed Martin of Camden and City Water & Light of Jonesboro. To invest in their human capital, opening opportunities to the American Dream. To develop decision-making skills, including an understanding of the costs associated with each decision. To develop financial skills to better manage their resources in the future. To gain knowledge of and appreciation for global market and their future roles as producers and consumers.